Summary: Rare film record of the Weston, Clevedon and Portishead Light Railway. Description: A sign on a railway platform reads 'Weston Clevedon & Portishead Rly. Shorest Route to Clevedon & Portishead. Frequent trains, cheap fairs'. There are views about the station including a pair of women and two young children walking along the railway platform, a sign for 'The Luggage Dept.' and a two wheeled trolley for transporting cases. A steam locomotive named Hesperus travels along the railway track towards the camera. The front end of the locomotive is connected to a carriage, and a closer shot reveals the locomotive cabin. The passenger carriage is filmed beside the platform, as a woman leans out a window to wave goodbye. During its journey there are views shot from the rear of the train as it moves away, capturing a uniformed man closing the gates of a level crossing. An onscreen title reading 'Speed Wobble', precedes more shots from the rear of the train as it moves through the countryside, the camera wobbling with the train's movements. Another onscreen title 'The Stone Age', foretells shots of railway tracks, sleepers and the stone gravel between. There are views out of a train carriage window as it moves through a village, crosses a road with motorcars held for it to pass, crosses a river by bridge, and passes various pieces of railway-side furniture and some sidings. An onscreen title reading 'What About The Rail Car Now!' comes before shots at Clevedon station, with the train moving through the town. 'A Wait While Engine Does A Little Shunting And the Result'. There is an interior shot of the train carriage and some of the passengers, followed by another shot with a view of the rear of the passenger carriage showing three goods wagons behind carrying stones. Portishead station is captured as it is passed. 'The Foreman Is Up Early 7A.M.' announces another onscreen title before shots of the foreman hammering a bolt through a rail into the sleeper below. 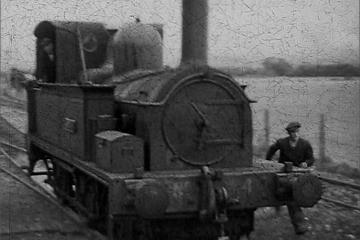 The film concludes with the foreman pushing a pump trolley (a manual railway inspection trolley) and reviewing the track. Further information: The Weston, Cleveland and Portishead Light Railway ceased operation in 1940. 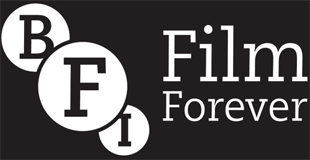 Written on the film can is 'Sidcup and Blackfen Times April 2003-July 2003'. According to a comment by Nigel Mathewson: "This is the small station at Weston-s-Mare (Ashcombe Rd). This part of the track is now a cycle path. Signage boards have been erected by the WC&P railway group at the three main stations." The WC &P LR are holding an Exhibition at Portishead nr Bristol on Sunday 22nd October2017 in the Leisure Centre. Many layouts including Weston-s-Mare and Clevedon stations. all welcome 10am-4pm. This is the small station at Weston-s-Mare (Ashcombe Rd) |This part of the track is now a cycle path. Signage boards have been erected by the WC&P railway group at the three main stations. Further ones are planned.